48Championships, 36 Cups, 5 European Cups Maccabi Electra Tel Aviv is the first and most successful basketball club in Israel. It all started in the mid-thirties in the center of Tel Aviv as part of the Maccabi Tel Aviv Sports Club (founded in 1906). 48 Championships, 36 Cups, 5 European Cups Maccabi Electra Tel Aviv is the first and most successful basketball club in Israel. It all started in the mid-thirties in the center of Tel Aviv as part of the Maccabi Tel Aviv Sports Club (founded in 1906). 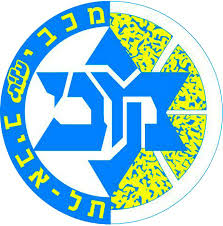 Maccabi Tel Aviv Sports Club, which has been active in many other sports like Soccer (17 league title), Handball, Volleyball, Tennis, Table Tennis, Track &amp; Field, Swimming, Wrestling, Weight Lifting &amp; Judo (1992 Olympic silver medallist Yael Arad was a member of the club). The Basketball League in Israel started in 1954 and Maccabi Tel Aviv were the first champions. They have dominated the championship ever since, winning the title 46 times, including a run of 23 titles in a row between 1970 &amp; 1992, most probably a world record. The team has also won the national cup 36 times. 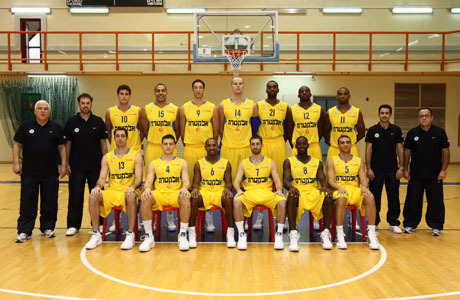 Maccabi is considered as Israel's national sporting representative in the world. Another unique record was the fact that during the seventies Maccabi Tel Aviv had three teams playing in the national league: two in the men's and one in the women's. Since 1969 till 2008, Maccabi Tel Aviv had been sponsored by ELITE, Israel's largest food company and it also carries its name. Since July 2008, Maccabi got a new sponser - ELECTRA. Since 1963 the club’s home court has been the NOKIA Arena in the Yad Eliyahu area in Tel Aviv. It started as an open air court for 5,000 spectators. Now a days it is a modern arena with a capacity of 11,000. Most of Maccabi head coaches, were ex-players at the club: The late Yehoshua Rozin was involved with the club for 40 years; Ralph Klein started as an 18 years old player and later had several spells as a coach and led the club to its first European title in 1977. Zvi Sherf played for Maccabi's second team and coached the team on three spells. Pini Gershon played in the Youth Section and as a coach led Maccabi to three European titles in 2001, 2004 and 2005. Maccabi Tel Aviv has always been proud to provide the national team with a large number of players. Five of Maccabi players, headed by the late Avraham Shneur, were on the team which represented Israel in its first European Championship in 1953 in Moscow. Tanhum Cohen-Mints was one of Europe's top centers in the sixties and was selected for the first European All Star Team which played in Madrid in 1964. Mickey Berkowitz, Motty Aroesti, Lou Silver &amp; Eric Minkin, played a major part in winning the silver medal in the European Championship in 1979 in Torino. Doron Jamchy played 16 years for the national team and holds the record for appearances (191 international games) and points scored (3,515). Maccabi Tel Aviv was the first Israeli club to enter the European Cup for Champions in 1958. Since then they have played 602 games in European competitions and were the first and only Israeli club to play in a Final (1967 Cup Winners Cup) and to win the Champions Cup on five occasions (1977, 1981, 2001, 2004, 2005). So far Maccabi has played in 12 Champions Cup Finals. In 1967 they were the losing finalists in the European Cup Winners Cup. In 1980 Maccabi won the Intercontinental Cup. In 1994 and 2004 Maccabi Tel Aviv Basketball Club organized the European Final Four in Tel Aviv. 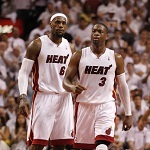 in the Adriatic League and reached the Final Four which was to be played in Tel Aviv. But because of the war in Iraq it was switched to Ljubljana. Maccabi reached the final but lost 88-91 to Croatian club KK Zadar. European All Star Selections played four times in Tel Aviv in honor of Maccabi Electra Tel Aviv players: Tani Cohen Mints, Tal Brody, Lou Silver and Mickey Berkowitz. Seven of Maccabi Tel Aviv players played for European All Star Selections: Cohen Mints, Brody, Silver, Berkowitz, Jamchy, Nadav Henefeld &amp; Oded Katash. Electra players were selected to play in the Eurostars games: Nadav Henefeld, Oded Katash, Doron Sheffer, Randy White &amp; Rashard Griffith. 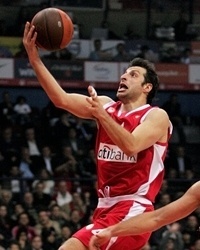 Captain Gur Shelef &amp; Nikola Vujcic appeared In October 2002 in the Euroleague All Star team in an exhibition game in Madrid as part of Real Madrid Centenary celebrations. Maccabi Tel Aviv played in December 2002 in Madrid in the final event of those celebrations. Po meni je ovaj klub predstavio Izrael u nekom drugom svetlu.Za njih se cesto vezu lose stvari: ratovi, teroristicki napadi i sl.Dobra politika kluba i sjajan odabir igraca kao i solidan budzet omogucili su mnogo za ovaj klub pa cak i 5 evropskih trofeja o dominaciji u Izraelu i da ne pricam. Daj Boze.Ali kako se blizi utakmica sve vise imam osecaj da nece bas sve ici kako treba veceras to jest da ce igrace Partizana slomiti pritisak. Nadam se da me vara osecaj. Nadam se da ce Partizan veceras pobediti. Ali se ni Makabi nece lako dati. Maccabi dobio Himkija 2 razlike, hteo sam to da odigram u kladži, bila dobra kvota, ali sam zakasnio. 2,10 poklon kvota. Ja napisao, kad pogledam na sat ono 18:03 ahhhhhh..
Laza wrote: 2,10 poklon kvota. Ja napisao, kad pogledam na sat ono 18:03 ahhhhhh..
Večeras sa Romom u Tel Avivu u 20h. Ovo ću gledati ako se nađe dobar stream, bekovska linija Perkins - Pargo nije svakidašnja. Obojica niski, ali lete, all-arounderi... takođe bi ovo trebao da bude lagan kec. Strax wrote: Večeras sa Romom u Tel Avivu u 20h. Ovo ću gledati ako se nađe dobar stream, bekovska linija Perkins - Pargo nije svakidašnja. Obojica niski, ali lete, all-arounderi... takođe bi ovo trebao da bude lagan kec. Beneton(šalim se Lotomatika) prošla kao Klivlend 41 razlike. Slicno kao ovo iz Kaunasa. Kakav blowout. Razbiše ih, 104-67.. sad baš gledam highlightse, već posle 2, 3 minuta su imali dvocifrenu prednost i sa nje se nisu skidali do kraja... samo su je povećavali..
Pargo 21 poen, 6 asistencija, 5 skokova. Oho! Ne zezaju se oni ni najmanje.